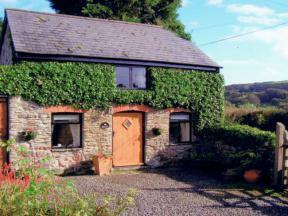 A small seaside village in north Devon, with fabulous views and stunning coastal scenery. Woolacombe is popular as a family holiday destination, but the beach is blessedly uncrowded compared to some places further south. There are fantastic walks to be had along the cliffs above Woolacombe Bay. Our family stayed for a week on the northern edge of the bay, within easy walking distance of the beach. It was a great location for coastal walks, and for watching the sun set over the rocky shoreline. 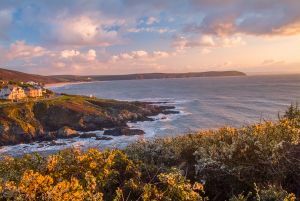 You can join the South West Coast Path and walk through along one of the prettiest coastlines in England. The location is excellent for access to places like Lynton and Lynmouth and there are several historic houses and gardens within a 20-minute drive. Perhaps the best known in the National Trust's Arlington Court, famous for its collection of historic carriages, but closer still is Chambercombe Manor, a lovely Elizabethan manor house. If you prefer gardens to historic houses try Marwood Hill Gardens near Barnstaple. 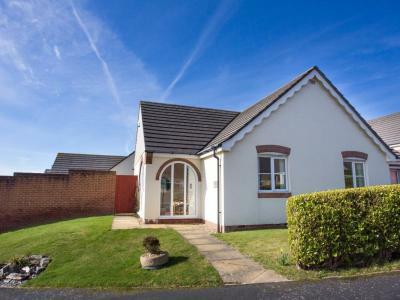 This lovely bungalow is situated near the Devon village of Woolacombe and can sleep five people in three bedrooms.